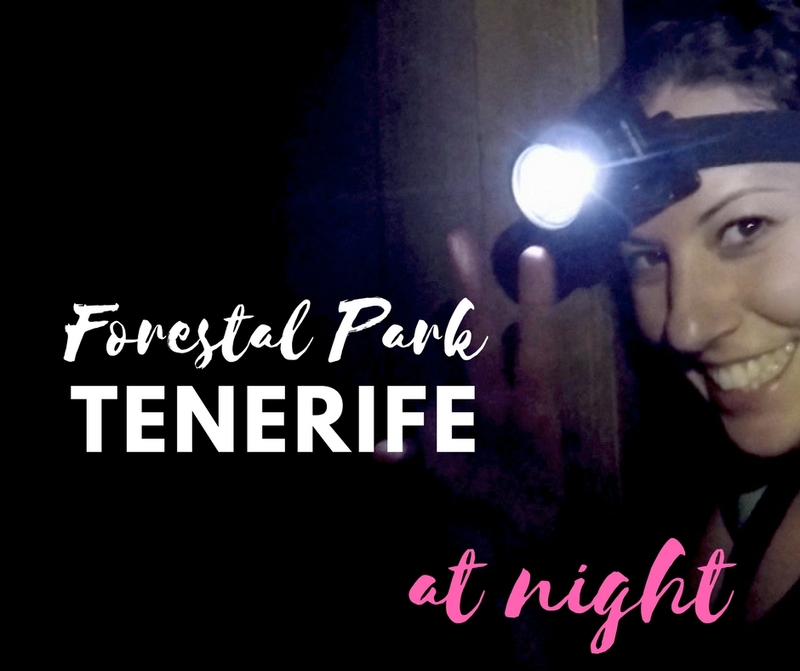 A few weeks ago, I had the great opportunity to be invited to the opening of Forestal Park Tenerife… at night! 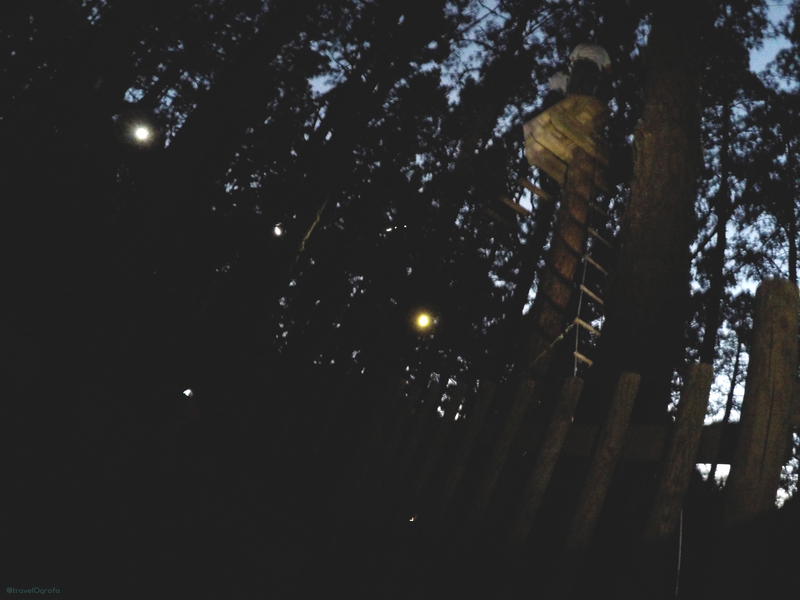 This adventure centre opens its doors all summer, every summer, to experience extreme sensations while up in the trees and with very low visibility. Ropes, zip-lines and lots of adrenaline. Forestal Park has 86 different attractions, 11 of which are zip-lines, and are divided in different types of circuits. 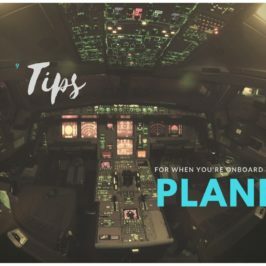 To start the activities, the team leaders will guide all users through one of their two briefing circuits, where the attractions, security procedures and doubts will be explained and resolved. Visitors will learn how to use the carabiners to always be at maximum security when away from the ground. Likewise, they will learn about climbing up and down from each game, how to cross them, and also the best posture to go down the zip-line. This step in compulsory for each participant – no exceptions. In the opening night, after some welcoming snacks, we split in two groups, and then went on the circuito deportivo (sporty circuit). It took us about three hours to complete it. 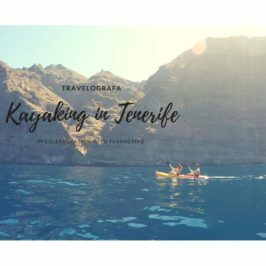 We went on many different stations, reaching heights of 30 meters, and jumping off the longest zip-line in the park (and in the Canary Islands! ), which is 230 meters long. This circuit is recommendable to all visitors who love feeling the adrenaline and who have no problems with heights. Nonetheless, all attractions have an escape way alternative in case users feel insecure once starting that phase of the circuit. 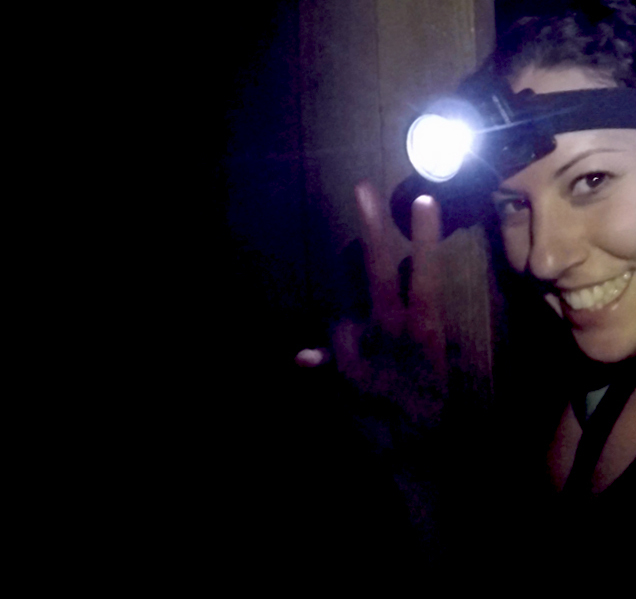 To the adrenaline junkies like myself, I recommend you to keep moving forward and to experience the leap into the void… especially if you are able and willing to do it with no light at all. It is even better! 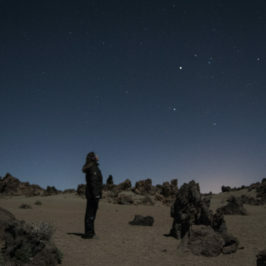 The only disadvantage of doing this activity at night is the poor visibility, which is compensated by the head lamps. Everything else is just advantages: sensations are multiplied, you live a unique moment, adrenaline is double than during the daytime, emotions will make you feel goosebumps… the fresh air, Nature’s sounds, the lack of acoustic contamination, darkness, and even jumping without seeing where you are going… in my opinion, absolutely recommendable! If you want to live emotions and sensations, you just simply cannot miss this. 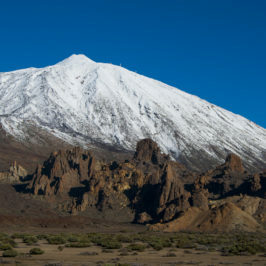 The park is located on the road to el Teide via La Esperanza (close to La Laguna), at about 1400m, in the protected area of Las Lagunetas, being one of the most representative natural sites of the pinar canario (Canarian pines) in the Canary Islands. To easily get therefrom both South and North, you need to head towards La Laguna. Once in the area, go towards La Esperanza. You can go both by car or bus (aka: guagua, and the bus site of Titsa). From there, you’ll need to go by car or taxi (which you can take at Plaza del Adelantado, in La Esperanza). – Bring warm and comfortable sports clothing. Preferably long (and not too loose) pants. – Bring sporty shoes. Preferably hiking boots or similar footwear, closed and tight. – Bring gloves (cycling style, leaving the fingers out). By doing so, your hands will be better protected from grazing against the ropes. – Put up your hair in a ponytail or a braid. Loose hair is not allowed, due to security reasons. – Bring a small backpack for your personal belongings. There are no lockers, and bringing a small backpack is comfortable and does not graze or stop proper fitting of the harness. You’ll prevent losing your things when up high, or being harmed by them during your movements. 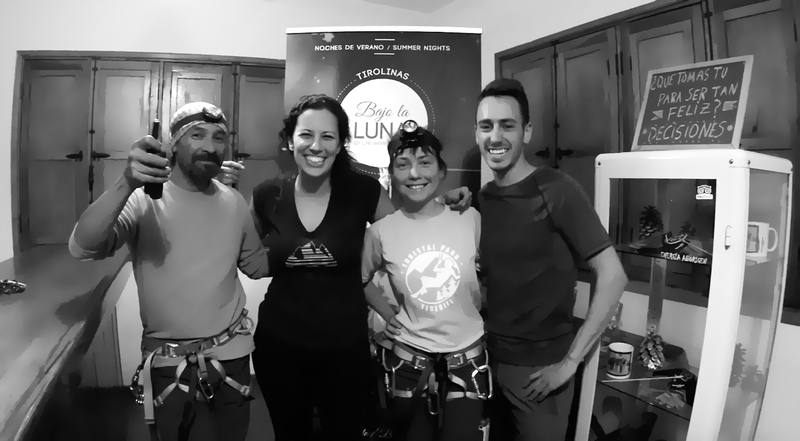 The line of life is a security system created by Forest Experience, in which the adventurer is secured via carabiners to the circuit line, and that can only be modified when on land, before and after the activity. This way, even if an accident may happen, the user will always be safe and secure. This activity is not suitable for expecting mothers or people with functional physical diversity. 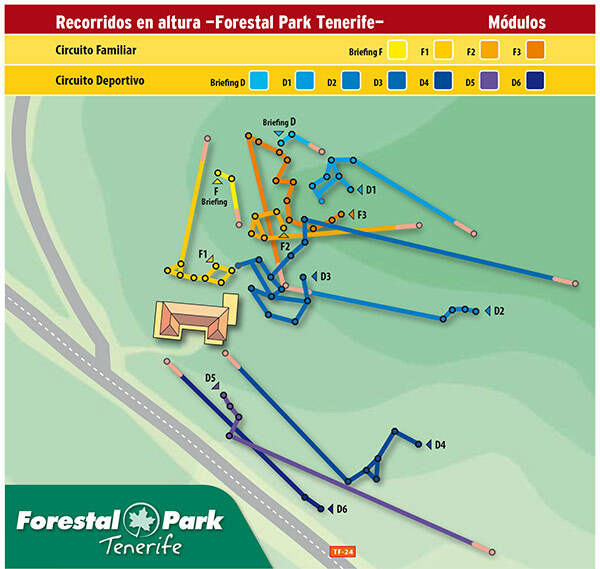 Please, in case of having any questions, do not hesitate to contact Forestal Park Tenerife. Adventure is one of the biggest fascinations for humans. The best way to make a child enthusiastic about a new task is convincing him that it is an adventure. Later, enthusiasm for adventures will be the centre of life for many men and women. Special thanks to the director, Carmen, and to the team – especially José and Airam, for sharing their advice and stories.